Updated February 2017: True Botanicals, formerly known as True Nature Botanicals, has renamed this face serum. I have kept the previous name in this post, but please note “Pacific Face Serum” is now “Cellular Repair Serum, Renew” and the links have been updated. During the past two years, I’ve been very obsessed with finding the perfect vitamin C serum. On my hunt, I’ve uncovered several stellar vitamin C-enriched products, and I feel like I’m getting closer to having a set few that I love and recommend time and time again. 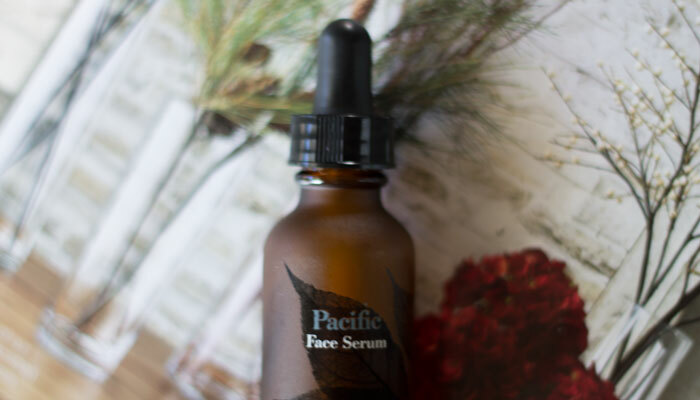 One that stood out to me during my testing and trials is True Botanicals’ Pacific Face Serum. With regular daily use, I noticed that my skin felt softer, looked more even and maintained moisture better. Made with vitamin C in the form of gentle magnesium ascorbyl phosphate, True Botanicals’ Pacific Face Serum offers the skin a soft, soothing jelly texture that blends beautifully with your favorite face oils. I cannot explain enough how different the texture of this serum felt compared to other true, watery serums. True Botanicals’ Pacific Face Serum felt cloud-like and gelatinous in the most dreamy way. I looked forward to applying it every day. You could fill a half- or full pipette of the serum, mix with your oil and apply to face and neck without ever feeling heavy, runny or uncomfortable. My skin always absorbed every bit of this serum-gel without looking shiny or feeling sticky. True Botanicals promises that this serum will nourish the skin with bioactive ingredients from the ocean, improving barrier function, increasing moisture retention and restoring suppleness. Ya know, kinda in the same way that the iconic, mineral oil- and petroleum-infused Creme de la Mer does. But the difference with True Botanicals and its claims? They back it up with science. True Botanicals notes that in an independent clinical study, the Pacific Moisture Duet outperformed the Creme de La Mer in measures of hydration, smoothness, elasticity — the works! So, if you’re in the luxury beauty / La Mer camp, this is a line that you’ll want to keep your eye on as your make the switch to clean beauty. And, the $230 Moisture Duet price tag ($140 for just the serum) will be a steal for those used to forking over $310 for Creme de La Mer. But, if La Mer has no bearing on your skincare philosophy, and you don’t have hundreds of dollars to throw around at products that are just meh, is Pacific Face Serum worth it? 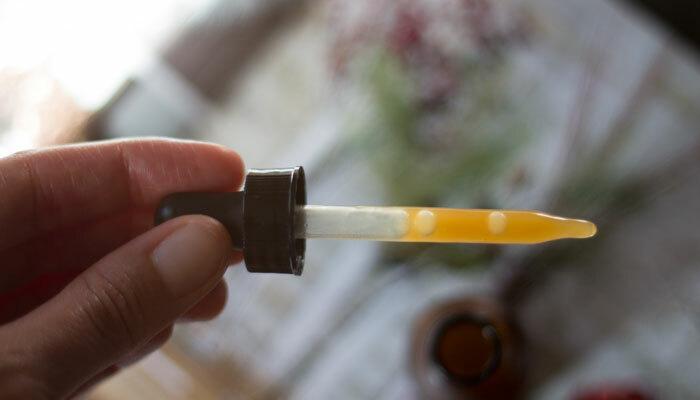 While the ingredients list is stellar and loaded with vitamin C, vitamin E, peptides and antioxidant-rich extracts, I’m pretty stuck on the vitamin C, vitamin E and ferulic acid combination when looking for a staple vitamin C serum. Vitamins C and E plus ferulic acid is touted as the dream team when it comes to vitamin C stabilization and protection from sun damage. I want a vitamin C serum with this badass trio in it to protect my skin on a daily basis. While the inclusion of jasmine and tuberose (be still, my heart!) excites me, the omission of ferulic acid makes me think twice about this skincare investment. True Nature Botanicals, any insight into how CE+Ferulic may come to life in your line? What vitamin C serums have you tried and loved? What are you picky about when it comes to vitamin C serums? Have you tried anything from True Botanicals? Tell me in the comments section!